If you are looking for the best GPS available today, the next generation Ublox Neo-M8N is it. It utilises the NEO-M8 chip, which is a 72-channel, high sensitivity engine that boasts a Time-To-First-Fix (TTFF) of less than 1 second. It supports multiple constellations, namely GPS, GLONASS, Galileo, QZSS, SBAS and it's even Galileo ready. Its sophisticated RF-architecture and interference suppression mitigates multipath effects and ensure maximum performance even in GNSS-hostile environments. During tests we have seen the M8N reliably find up to 18 satellites with an hdop of 0.7. This is in comparison to older generation modules, such as the NEO 6M which found as little as 5 satellites with a high HDOP. 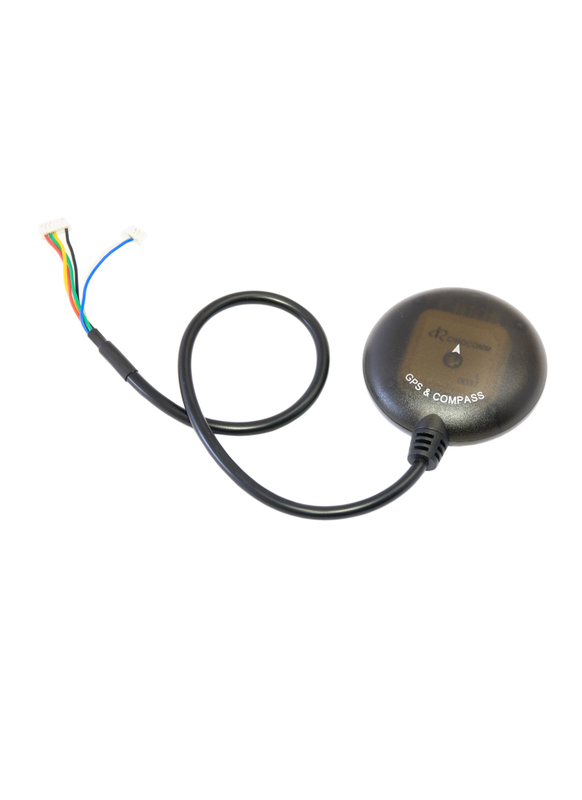 It also incorporates Honywell's latest high precision 3-axis digital magnetometer (HMC5883L), which provides a convenient method of mounting the compass away from sources of interference that may be present in the vicinity of your multirotor's flight controller. The GPS comes pre-configured for the Pixhawk / APM flight controllers. Change the 1.25-6P plug shell to the included 5P shell to fit APM.